The Spot325 is an award-winning full featured waterproof headlamp which has now been made even lighter! It's designed for those pre-dawn missions, night approaches, or big climbs that go on into the night. With 325 lumens of power, the Spot325 packs a punch for such a small headlamp. The Spot325 has a new, compact body which has been redesigned with a lower profile to give it better balance and make it more ergonomic for added comfort. Black Diamond didn't stop there they have also updated the Spot325's user interface by adding a second switch to make it easy to change lense mode selection, along with the updated user interface they have also updated the optical efficiency which provides brighter light with more intensity and also saves battery life which you can now track with a six setting, three-LED battery meter. You also get peripheral lighting with the Spot325 which is great for close range tasks like reading a map or cooking at camp. 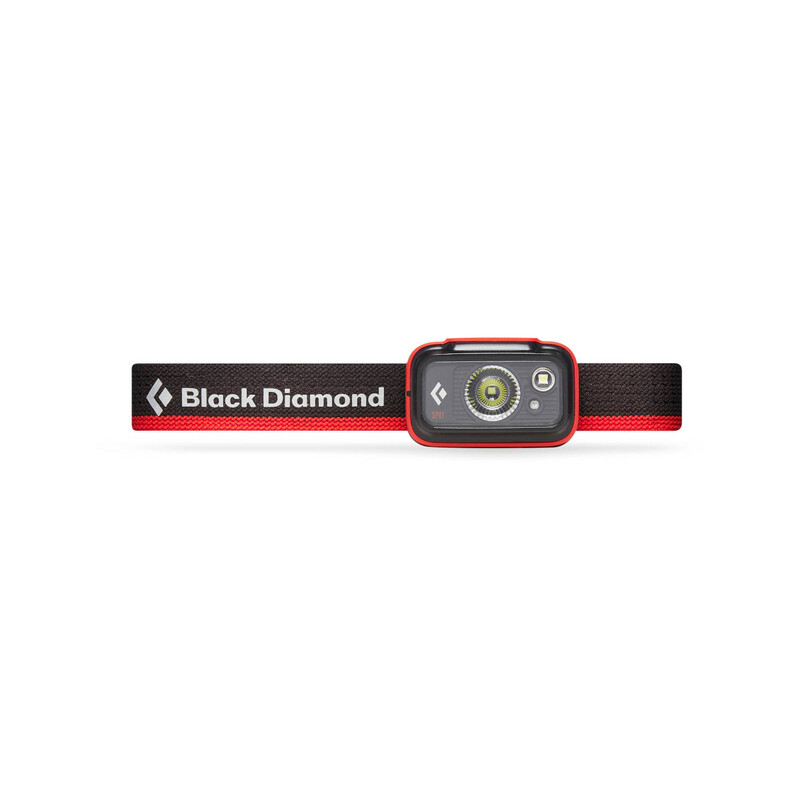 Black Diamond has used an IPX8 waterproof housing so you don't have to worry about your headlamp if you get caught out in the rain. Another great feature that the Spot325 has is a brightness memory feature with lets you turn the light on and off at your choice of brightness without it going back to a default setting, there is also a PowerTap Technology which allows you to instantly adjust the brightness of the Spot325. > IPX8: Waterproof-Tested to operate at least 1.1 meters underwater for 30 minutes. If submerged, water may enter the battery compartment and it will still operate; it should be completely dried out after use in wet conditions."